When the alpha male at an all-gay loft complex winds up dead, only one friend, believing it's murder, hires a P.I. to look into it. Five Astronauts. One Goal. Stay Alive. One of those great little independent sci-fi film gems with a 50's retro feel that come out of nowhere. Shot in black and white, enjoyable to watch with a mix of mystery and humor. 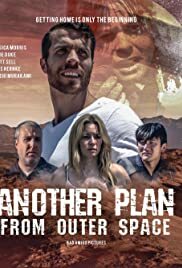 It is about 5 returning astronauts stranded when they crashland in a desert. I am a big sci-fi film buff and it lived up to my expectations. I highly recommend this film. So treat yourself, like they say get some popcorn, sit back, relax and enjoy the show.